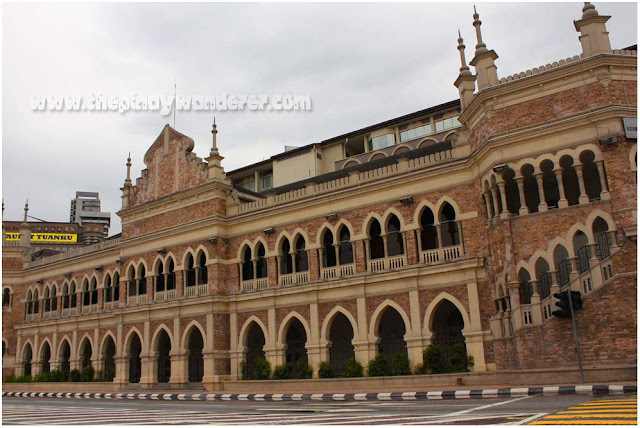 Anyway, I've mentioned in my previous posts that our KL-SG adventure last summer was on a package tour; and just like any other package tour, it includes a free half day tour to some of the city's interesting attractions. 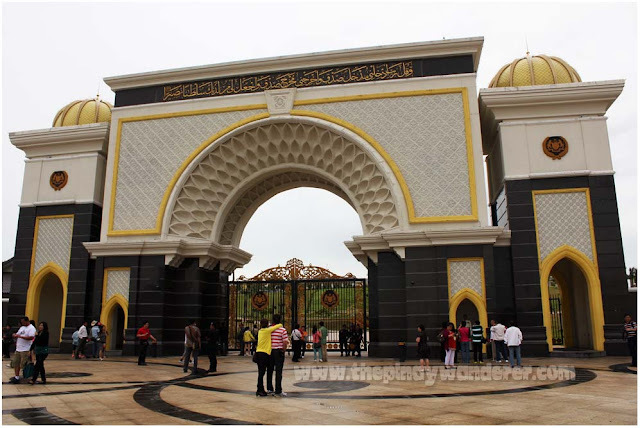 In KL, our city tour includes a visit to the Istana Negara (National Palace), Tugu Negara (National Monument), Masjid Negara (National Mosque), leather factory/store, batik (a cloth printed with various patterns) shop, and chocolate factory. 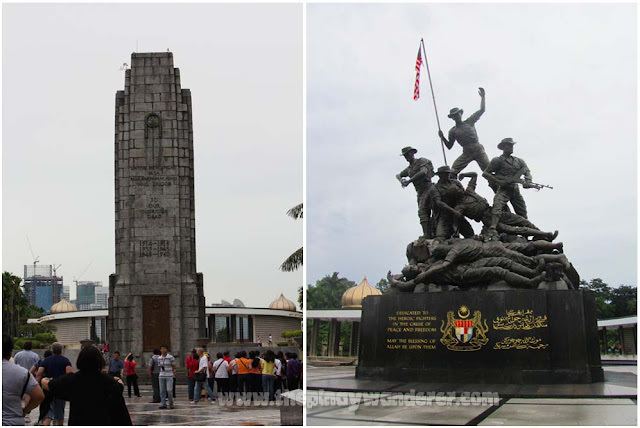 Tugu Negara or the National Monument is a sculpture erected to commemorate the soldiers who died fighting for Malaysia's freedom during World War II and the Malayan Emergency. The sculpture (the new one) is made of bronze resting on a granite base. 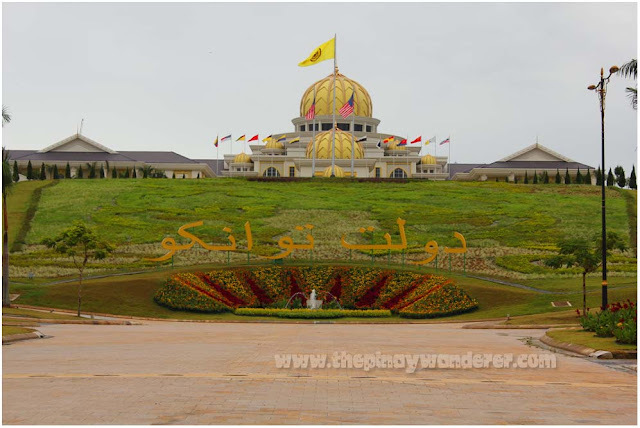 It is located in the Lake Gardens, near the Malaysian Houses of Parliament. 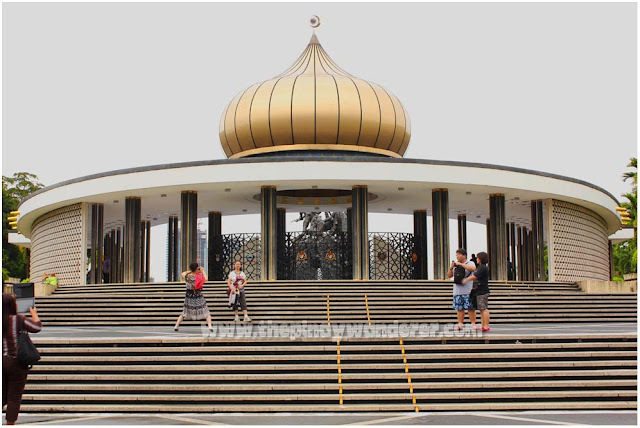 Masjid Negara or National Mosque is one of the most distinguished landmarks in Kuala Lumpur because of its star-shaped dome and 73-meters high minaret. 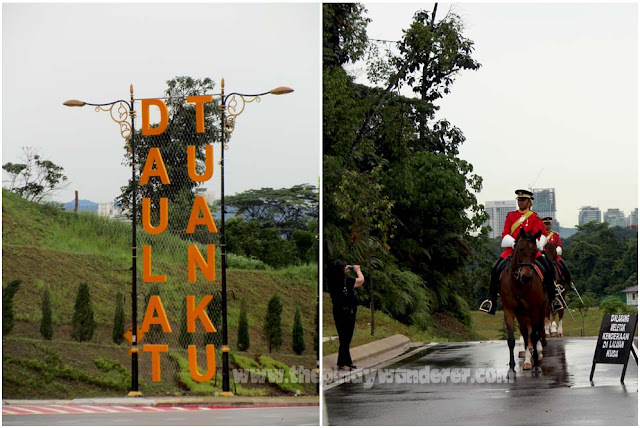 (source: KL tourism flyers) It is situated near the Lake Gardens, along Jalan Perdana. 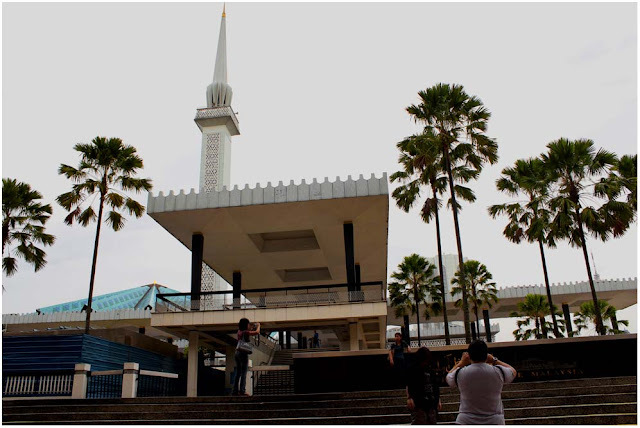 Tourists, especially women who want to enter the mosque are required to wear robe and hijab or head scarf. 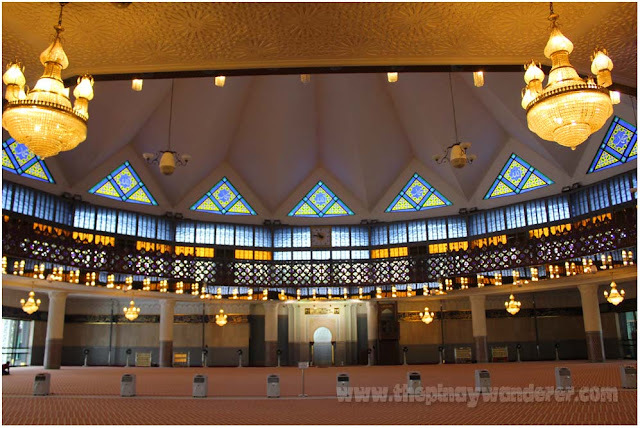 Robes and hijabs are available at the entrance to the main prayer hall. 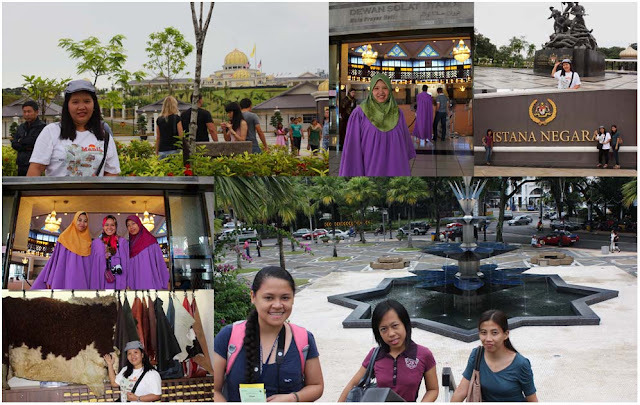 After the mosque, we passed by Dataran Merdeka (Merdeka Square), took some photos there and then we went straight to Roncato, a leather factory located along Jalan Imbi. 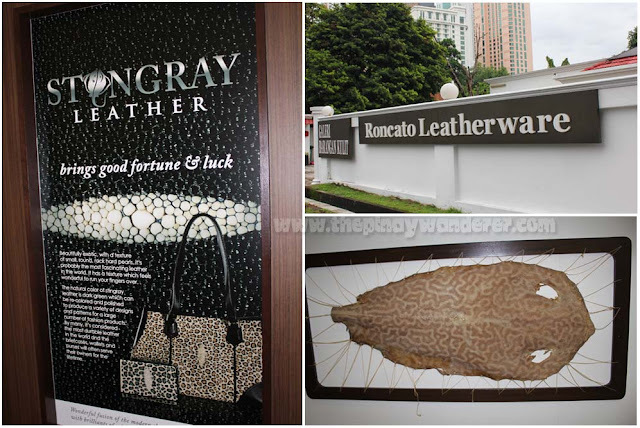 Their products are quite expensive and the designs are not that attractive though so we left the factory just after a few minutes of looking around. The driver/tour guide then accompanied us to Daisy's, a batik shop near Roncatos. 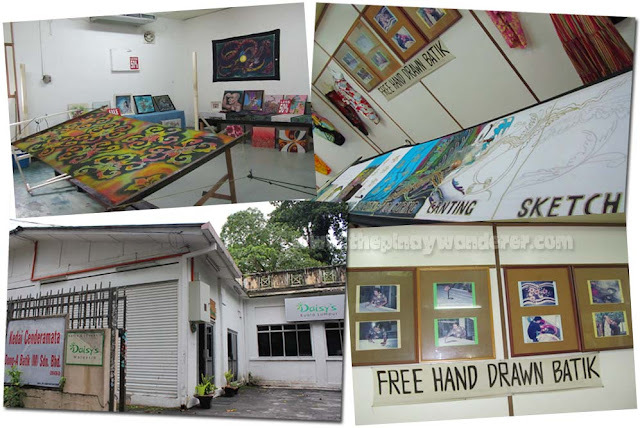 The shop sells not only batik products but also other souvenir items like shirts, scarfs, etc. My friends bought some shirts for souvenir. HELLO! 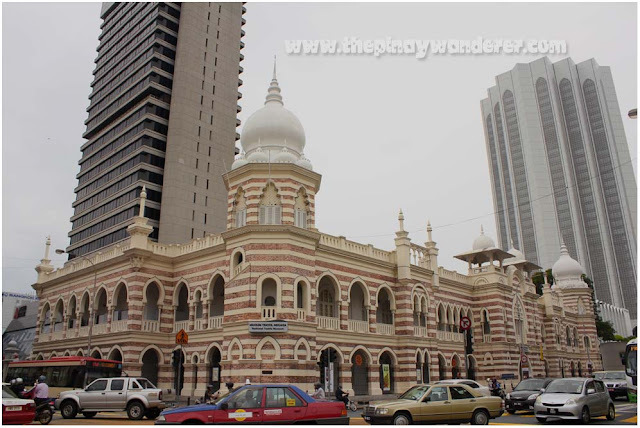 ask ko lang kung hindi ba mahigpit immigration ng pinas pagpunta ng kl? Chocolate factory?parang heaven saken yan, haha! Ano lasa ng chili-flavored? ang weird ata! Ang grandiosa ng palace nila. 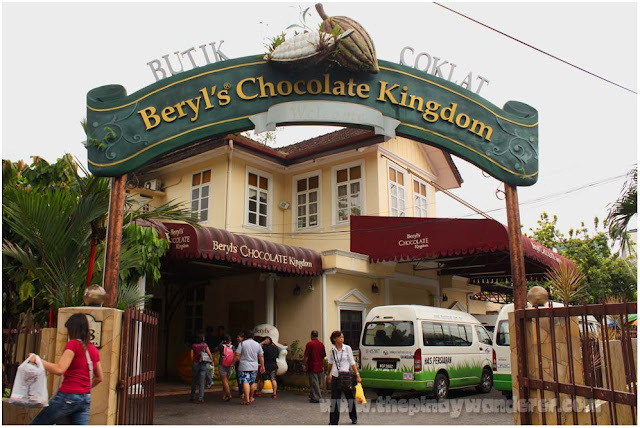 At meron palang leather na gawa sa stingray?kawawa naman yun sting ray..
Ang sarap sigurong tumira sa chocolate kingdom!!! Mananaba ako at dadami ang pimples ko hehehe. Wow, ang ganda ng mga place...Thanks for sharing at least nakita ko din ang other side ng KL. 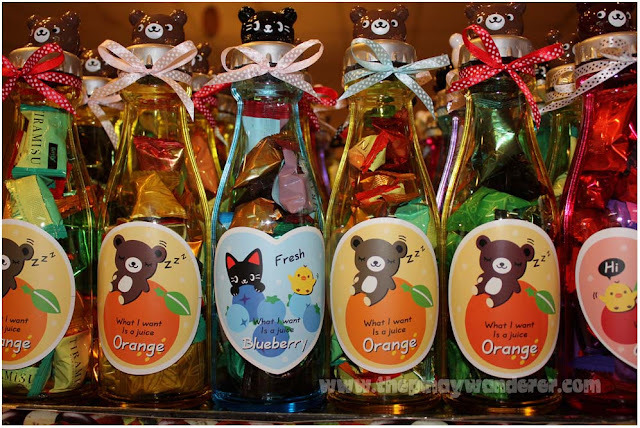 wow chocolate factory....i love that! Hangganda ng Malaysia, pangarap kana lang ba?